Book a Course: View the upcoming course schedule, or contact us here to request additional information regarding specific training not currently listed. Our open enrollment courses cover popular technologies such as Cisco, NetApp, VMware, Microsoft and more. IT Managers trust Fast Lane to deliver leading-edge courses that prepare their staff for real-world situations on the job. This class to job transition requires instructors who go above and beyond the course books and labs to create an educational environment that caters to the unique needs of each student. Get all of the advantages of Fast Lane’s classroom training-but without the travel! Instructor-Led Online (ILO) courses, each taught by Fast Lane’s vendor-certified instructors, feature the same content and labs as our classroom sessions but in a virtual environment delivered via WebEx. Our strictly managed online program guarantees you will receive the highest level of education quality. Fast Lane created the FLEX™ Classroom to provide a high-quality training option for those that aren’t able to attend our ILT sessions in person. This delivery method blends Instructor-Led Training (ILT) with Instructor-Led Online (ILO) training. Our FLEX™ sessions deliver a world class learning experience to students in the actual classroom and students attending via our ILO solution. With FLEX™ Classroom, – choose to attend via the Internet or attend the class in-person. Either way, your experience will be equally as effective – we guarantee it! Fast Lane understands that in today’s business environment budgets and timelines are both being squeezed when implementing new technologies in your business. We also understand how difficult it is to get your staff trained in a timely manner on those new technologies. To help your team get up to speed quickly and in a cost effective way, Fast Lane offers dedicated On-Site training delivery. Sessions can be held at your business location or delivered via our FlexClassroom™ technology to accommodate your core team plus remote team members or in a completely virtual Instructor-Led Online format if all candidates are remote. If needed, content can be tailored to meet your technology implementation requirements. . We will work with you to understand your business objectives and design a specialized training solution to assist you in achieving your project goals. Fast Lane is committed to delivering the highest-quality, private group training on a variety of technologies such as Cisco, NetApp, VMware, Microsoft, and more. Businesses around the world have trusted Fast Lane to deliver authorized vendor courses that solve IT knowledge gaps allowing you to fully leverage your technology investments. Need Customization? We understand that some pre-packaged courses do not always meet the needs of our corporate clients. Fast Lane has the unique ability to create courses combined from one vendor’s content or multiple content sources. Our multi-vendor courses combining Cisco, NetApp and VMware topics are meeting the needs of today’s multi-vendor implementations. We also offer Expert 4 Hire services including Rapid Prototyping, Mentored Install, and Shadowing. To view more details check out our Expert for Hire (E4H) offerings. 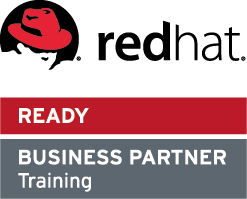 Broaden your knowledge of Cisco, Red Hat and VMware technologies through interactive e-learning courses that allow you to study as often as you want, at your own pace and on your own time. With a collection of hands-on tutorials, these e-learning courses will provide you with the flexibility and convenience that you need to advance your career, skills and knowledge. Whether you are looking for certification preparation or to gain more knowledge on a particular topic, these e-learning courses are perfect for learners who prefer self-study.